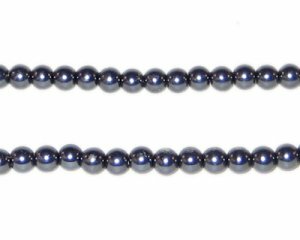 These are 4mm Round Charcoal Glass Pearl Beads on a 16" string, approx. 113 beads. I love the beads,such beautiful and quality beads. I'm on a fixed income and love to craft with your beautiful beads.. Laura L Prochaska Brighton,Co.